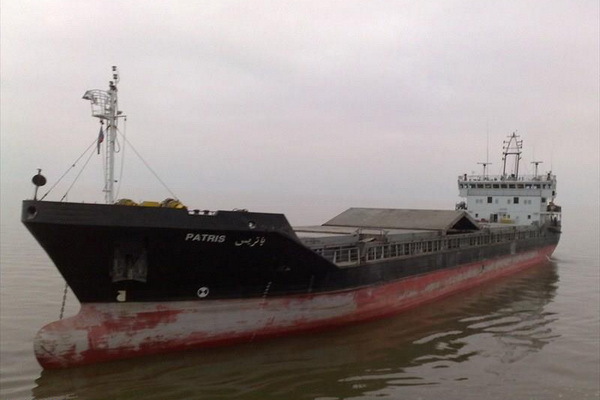 The Iranian general cargo ship Patris ran aground in Volga – Caspian Sea Canal, while passing one-way fairway leg in floating ice. The vessel was en route from Astrakhan to Enzeli with 2787 tons of general cargo, but stuck at 50.5-kilometer mark after approaching area with one-way traffic and was pressed by the moving ice fields to the left bank of the canal into a shallow. The general cargo ship Patris hardly stuck with slight list to starboard and was not able to refloat by own power, but fortunately did not suffered underweater damages and breaches. The accident was reported to the local authorities, but it was estimated that for refloating will need icebreaker. There were no reports about injured people and water pollution during the accident. The company operator need to settle salvage contract with the local authorities for refloating of the general cargo ship Patris. Near the grounding site is on standby the icebreaker Kapitan Bukaev. The general cargo ship Patris (IMO: 9137210) has overall length of 98.00 m, moulded beam of 16.00 m and maximum draft of 3.50 m. The deadweight of the ship is 3,853 DWT and the gross tonnage is 2,842 GRT. 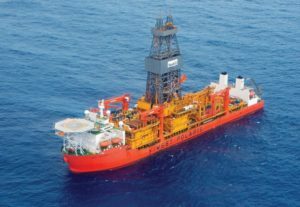 The vessel was built in 1997 by Navol Shipyard in Oltenita, Romania. The general cargo ship Patris is operated by the Iranian company Khazar Shipping Lines.